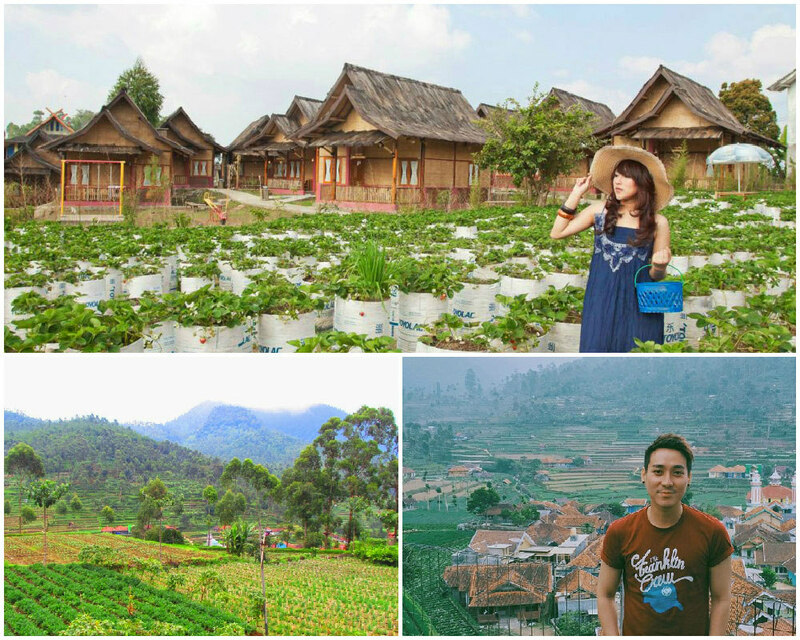 Want to travel to a quirky place, but tired of the tourist crowds in Bali? 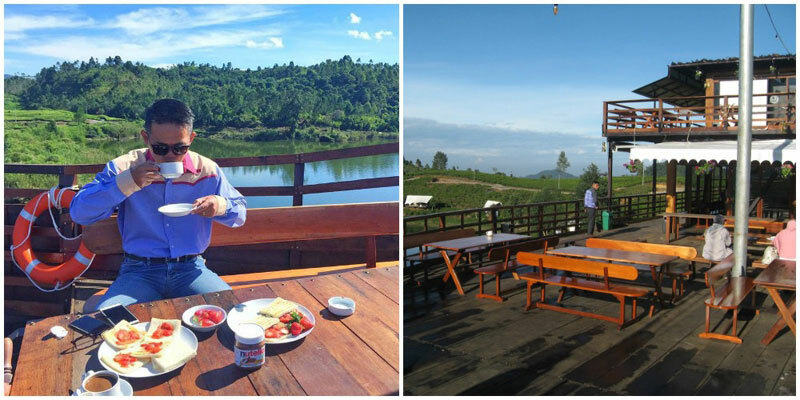 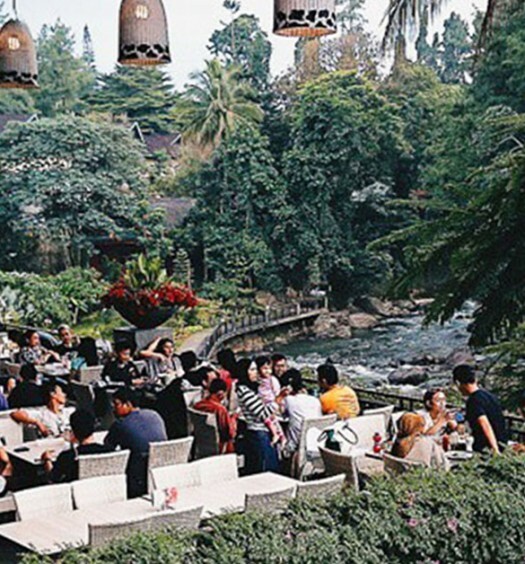 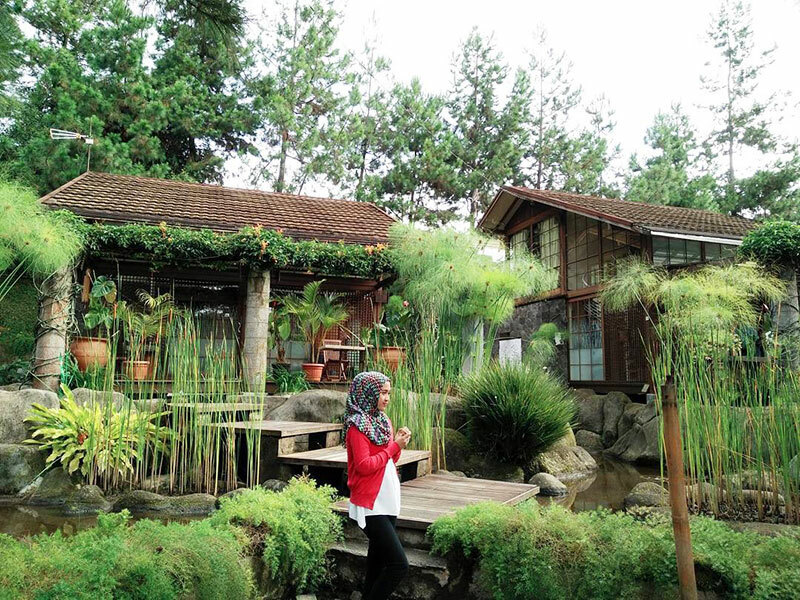 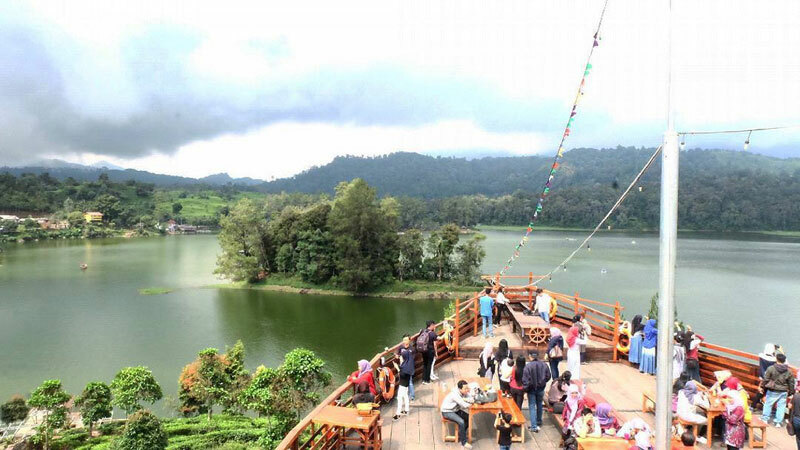 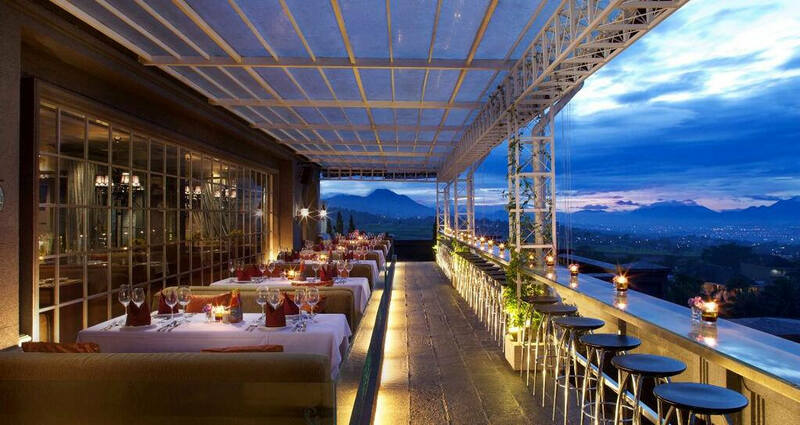 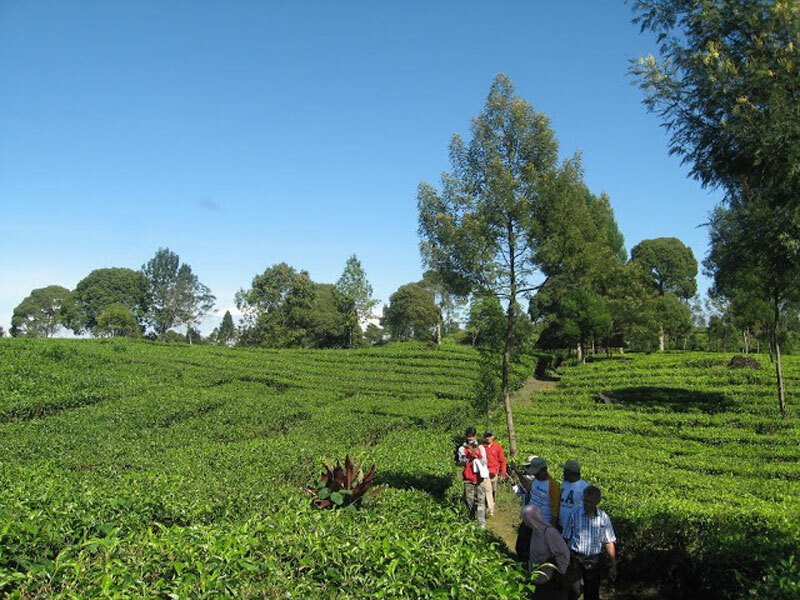 Why don’t you head on to the next famous spot in Indonesia – Bandung? 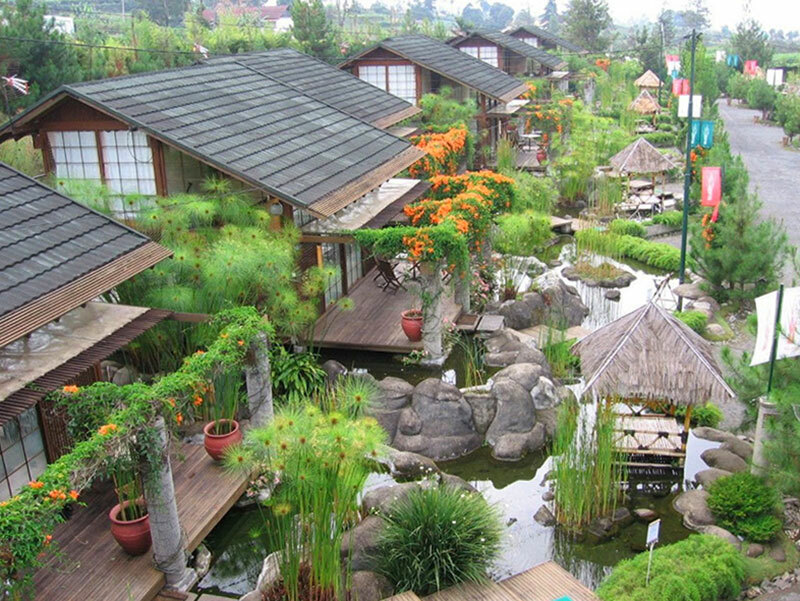 Bandung is not only great for its shopping, but just like Bali, you can actually find unique accommodations to stay in! 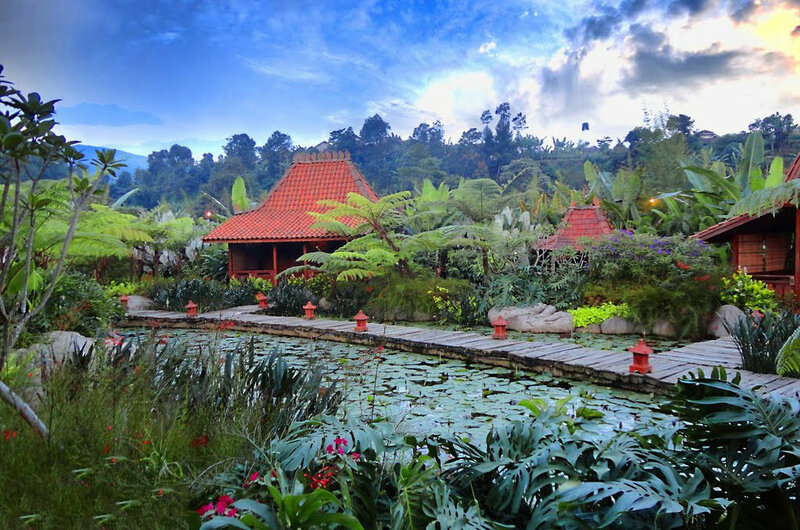 Bandung is a very accessible city with daily connecting flights from major cities. 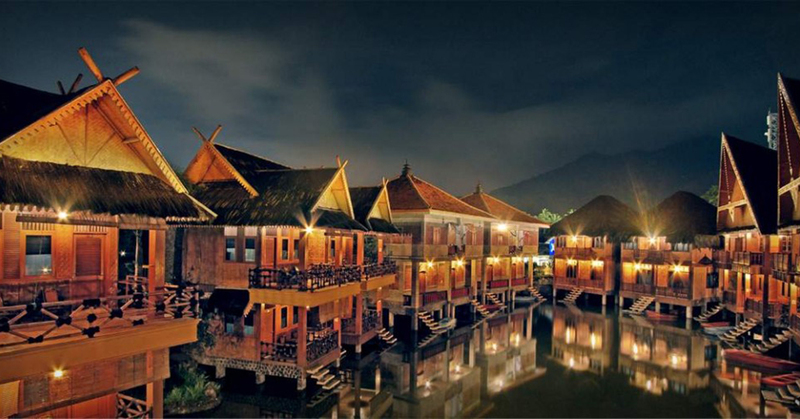 From Malaysia – It’s a 1-hour-40-minute flight and it costs less than RM 270 to get there. 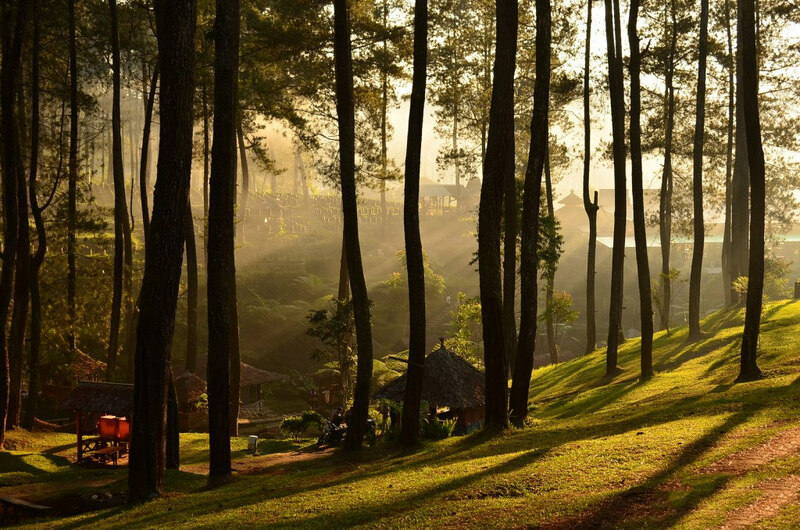 From Jakarta – It’s just a 3-and-a-half-hour drive away. 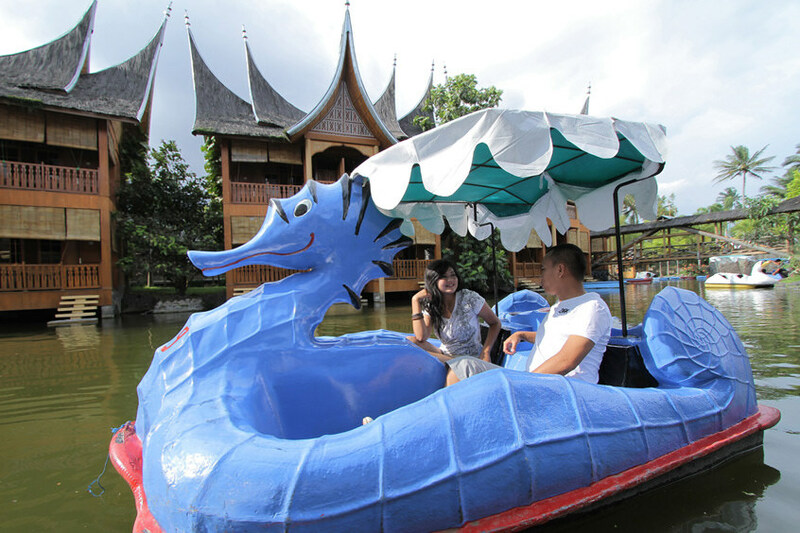 Alternatively, you can take Cititrans van which costs 150,000 rupiah. 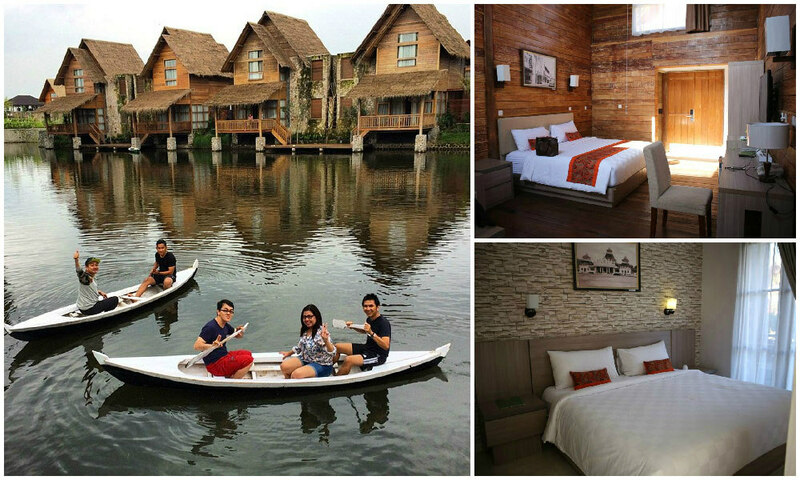 From Singapore – It’s a 1-hour-40-minute flight and it costs less than SGD $115 to get there. 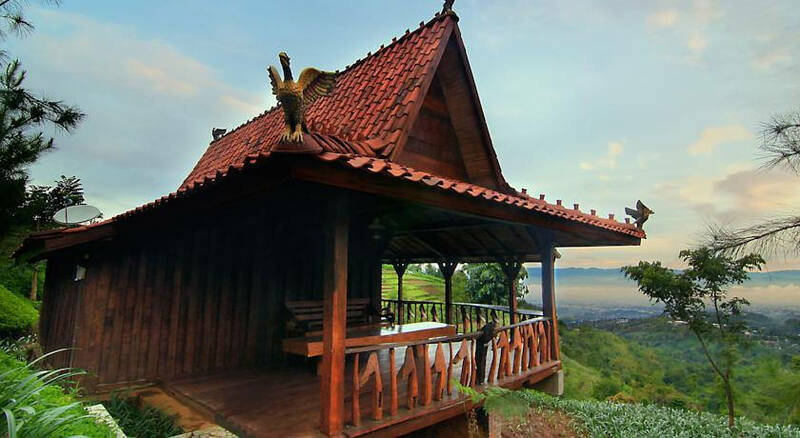 We have curated 12 accommodations in the City of Flowers and 4 accommodations in Garut, which is just a 2.5 hours drive away from Bandung, in case you’re feeling adventurous. 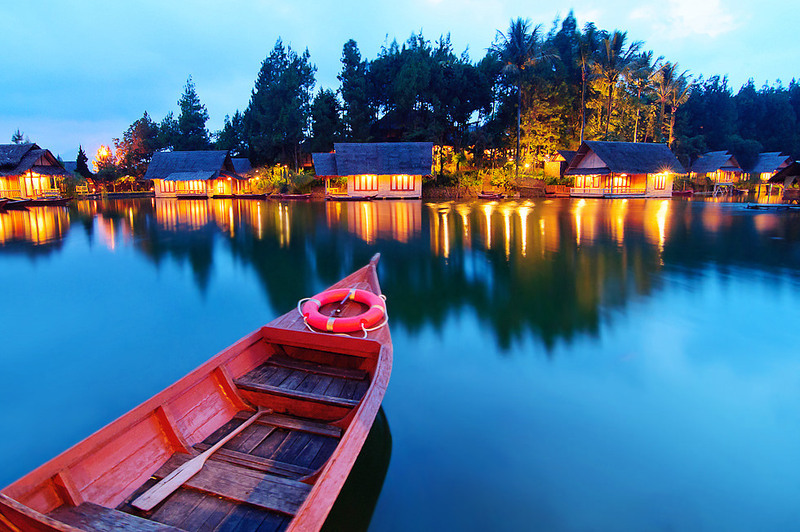 Trust us, you’ll fall in love with these special stays. 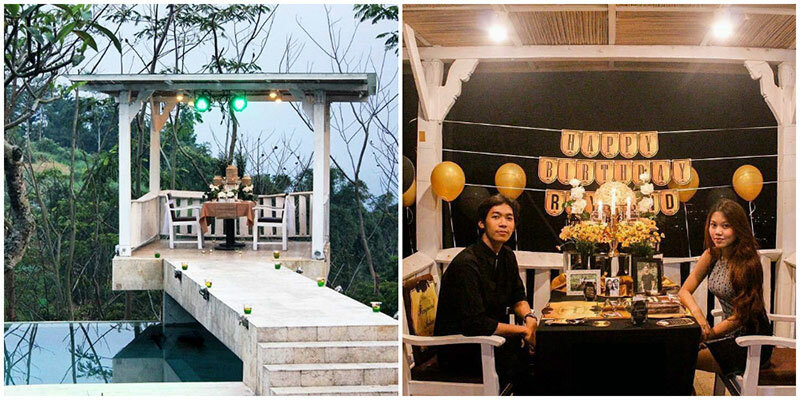 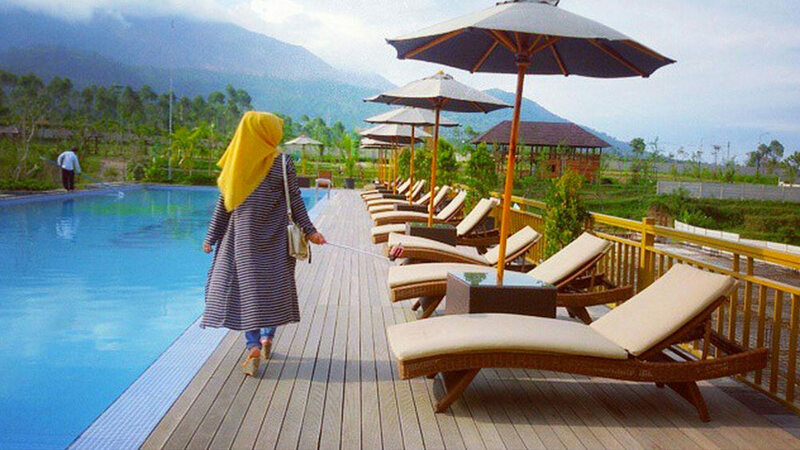 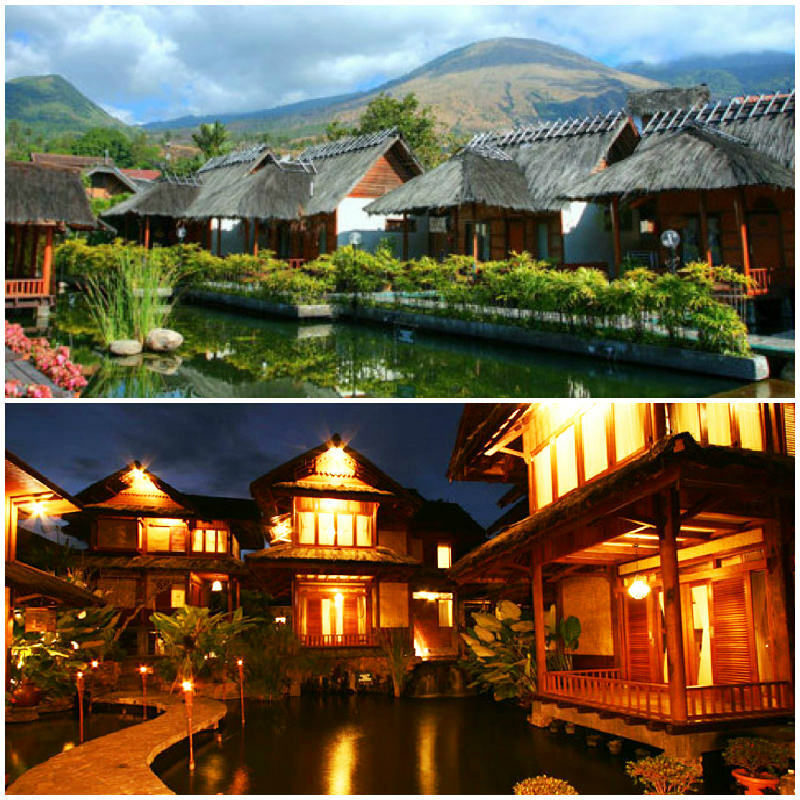 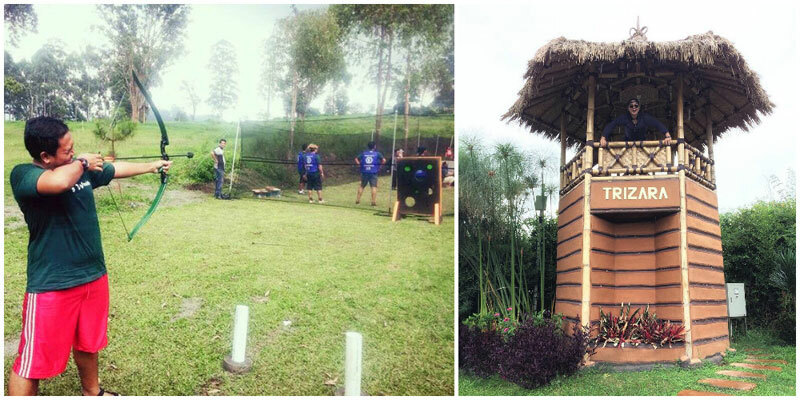 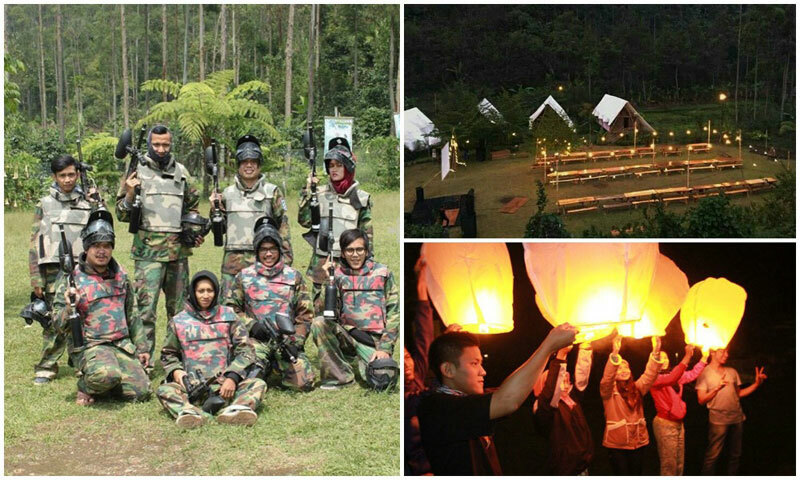 A hidden paradise in Garut, Kamojang Green Hotel & Resort offers you an experience second to none. 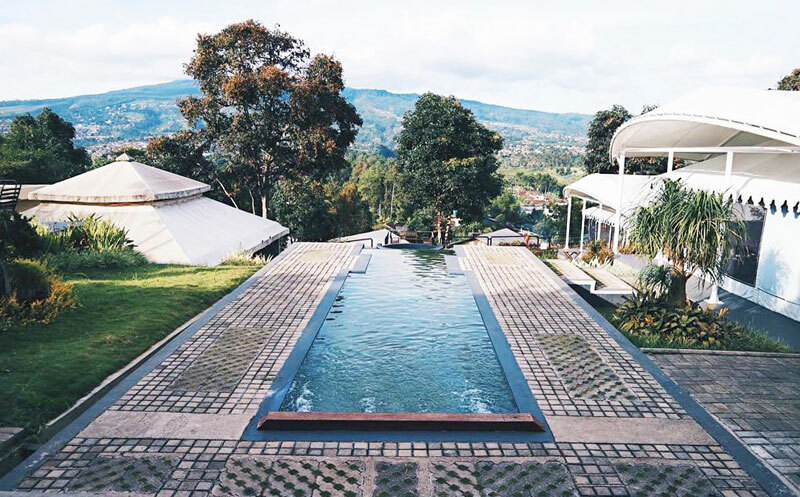 There’s just something very inexplicable about this place – perhaps it’s the rejuvenating aura or the smell of crisp fresh air that is simply alluring. 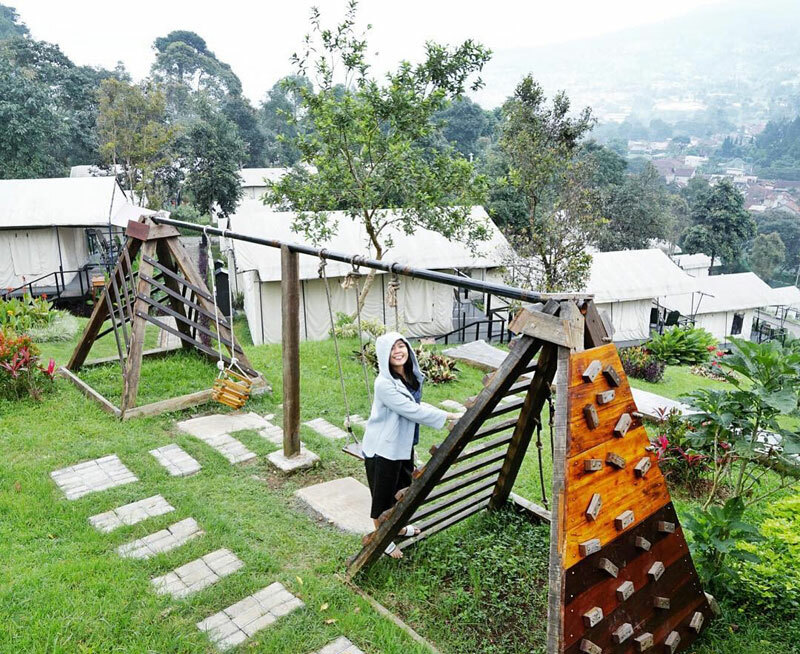 The staff here at Kamojang Green Hotel & Resort are passionate about what they do and believe in providing quality customer service. 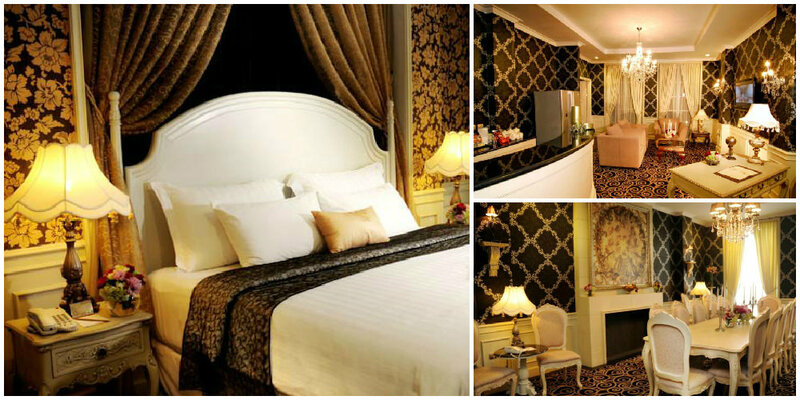 Friendly and attentive, they are always willing to go the extra mile for you. 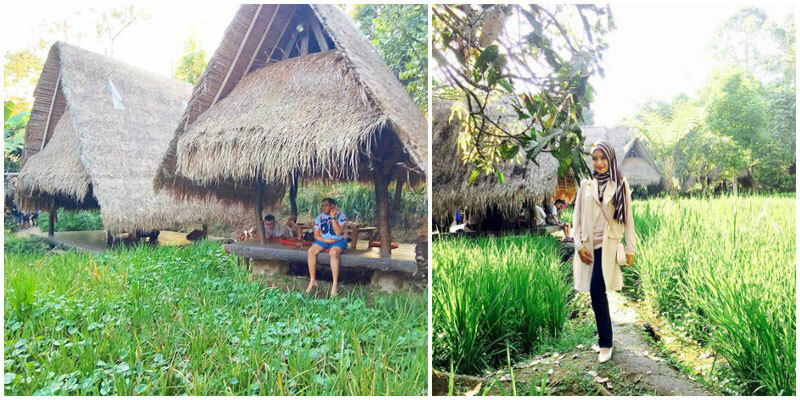 Here, you can immerse yourself in traditional Sudanese village style living, with a mountainous view as your perfect backdrop. 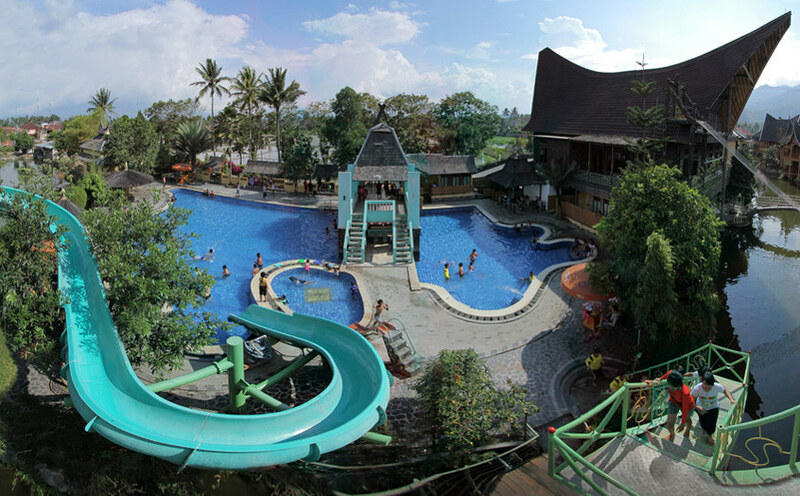 There are also various recreational activities such as fishing and watersports that you can enjoy. 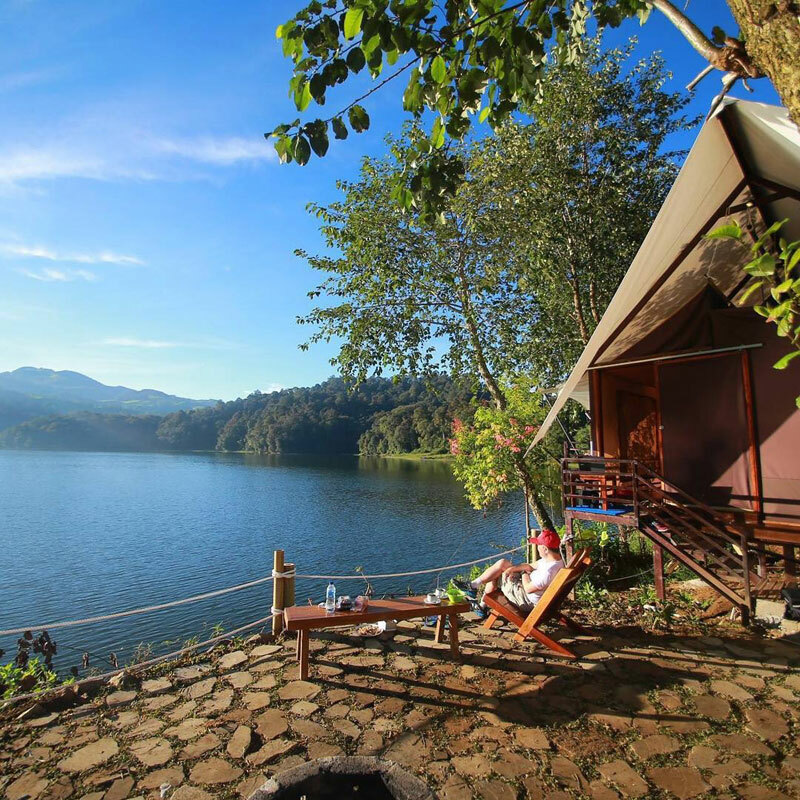 Surrounded by slopes of lush greenery and a gorgeous lake, Sapulidi is the best therapeutic place for you to recharge and get some peace and quiet away from the city. 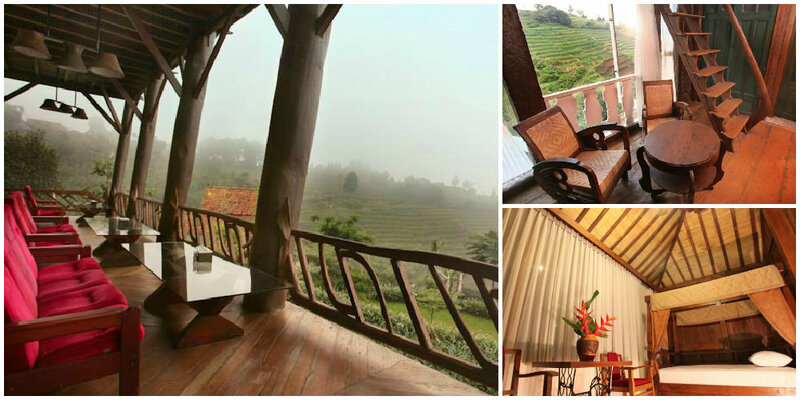 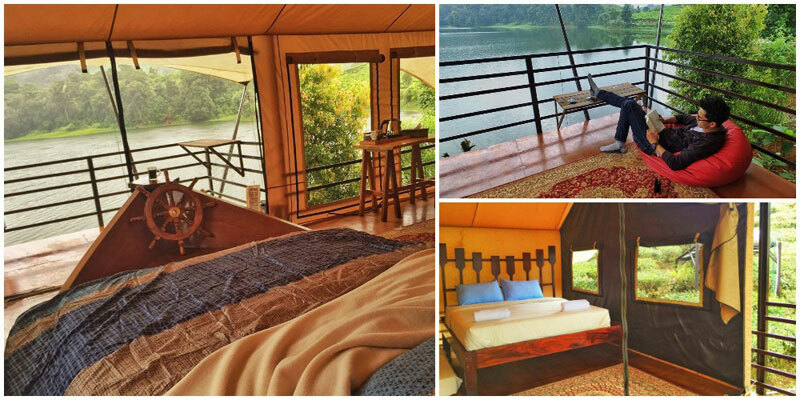 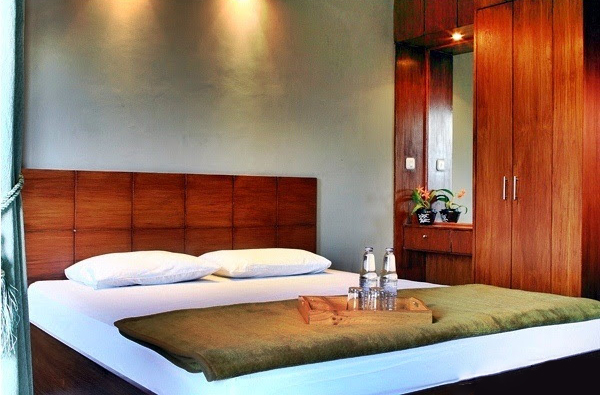 Where else can be more perfect for that much-yearned-for getaway with your loved one? 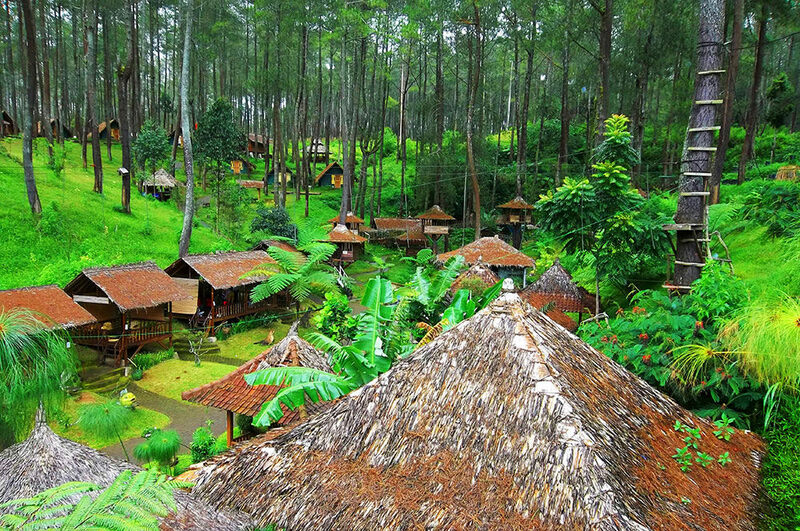 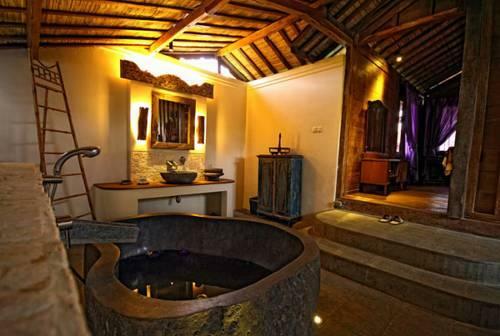 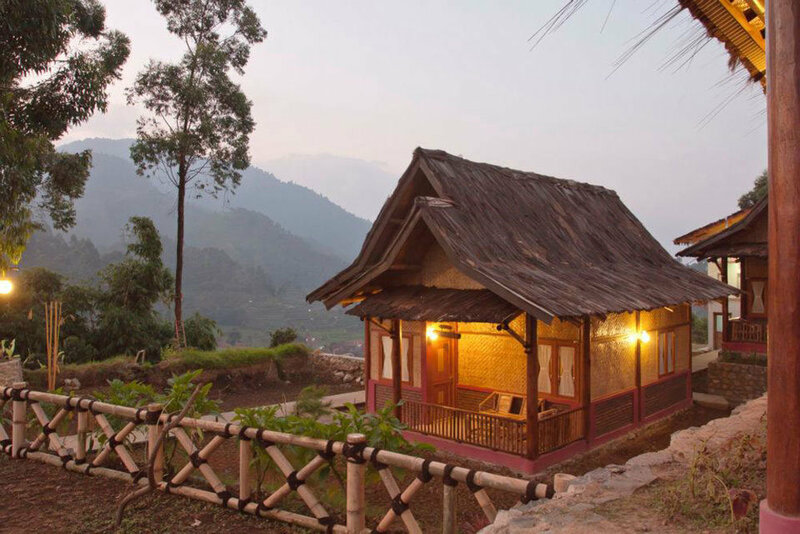 The rooms are mostly made of wood, and even each room has a unique name – Putri No’ong, Kembang Desa, Congklak, and many more – all derived from Sundanese culture and folklores. 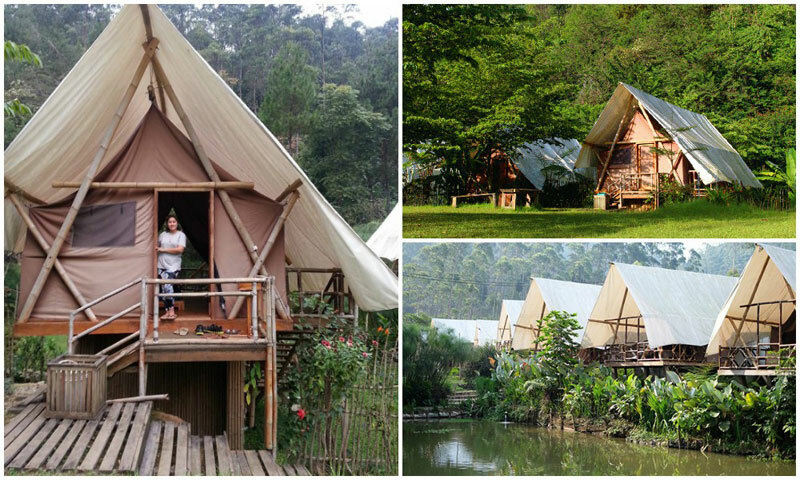 Grafika Cikole offers a unique and authentic ‘camping experience’, if you wish to experience the outdoors and nature, yet still enjoy the convenience and comfort of a hotel. 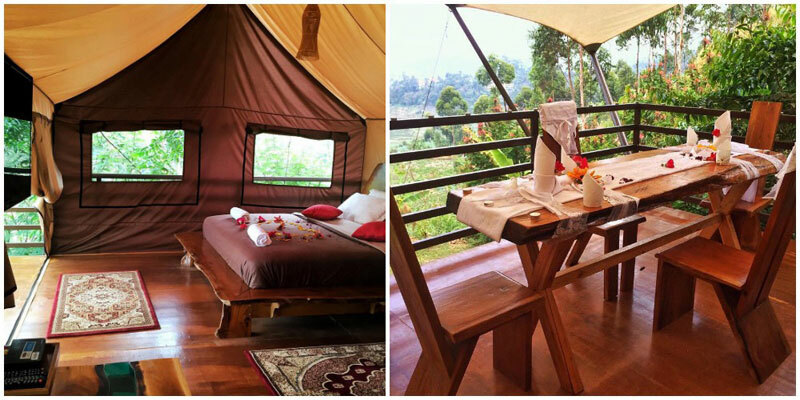 And if you really want to be literally in a tent, you can choose to stay in a comfy one with nice bedding. 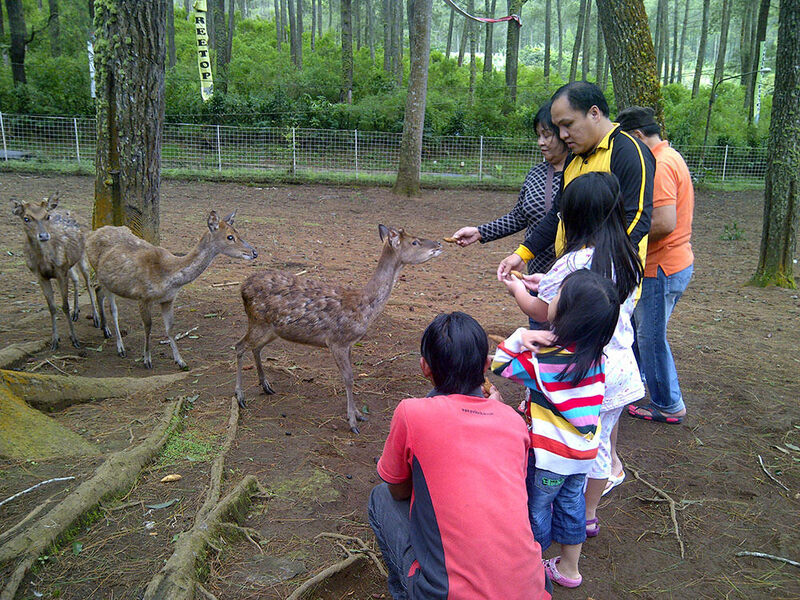 This is the place to launch yourself into plenty of outdoor activities in the woods, and you can even feed the deers! 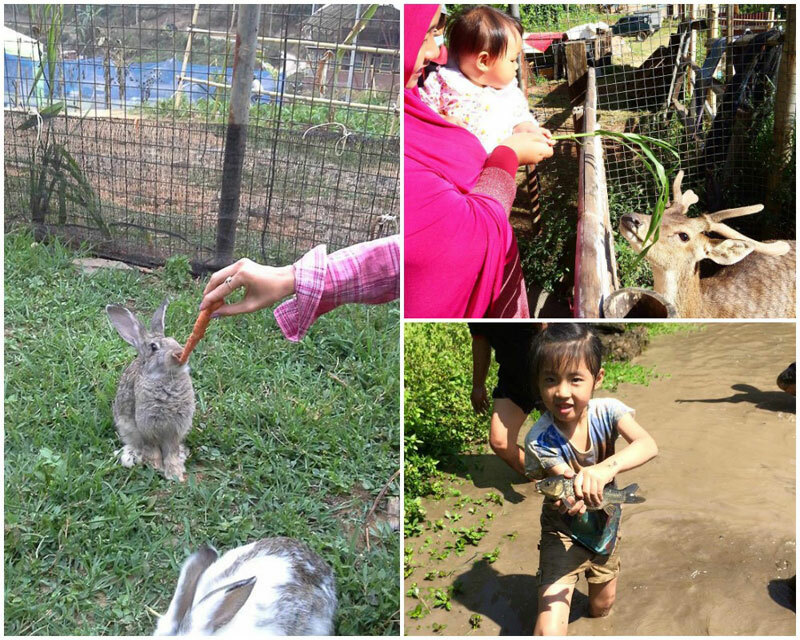 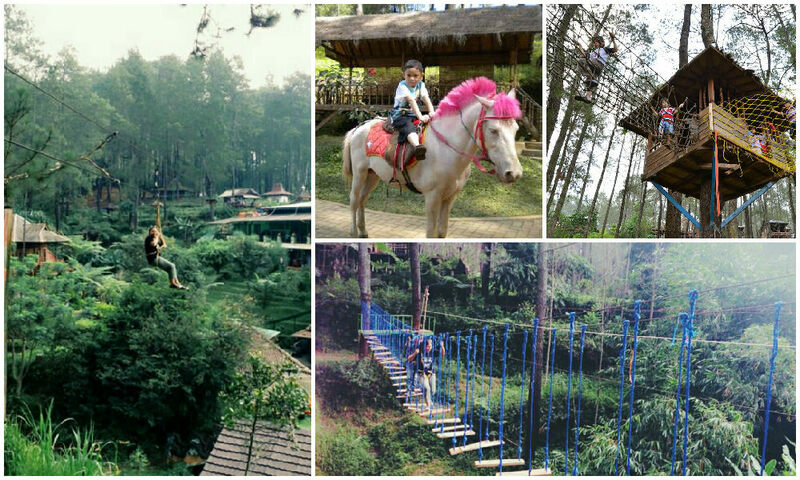 There are also plenty of kid-friendly activities – ranging from horse riding and flying fox, to tree top adventures and more! 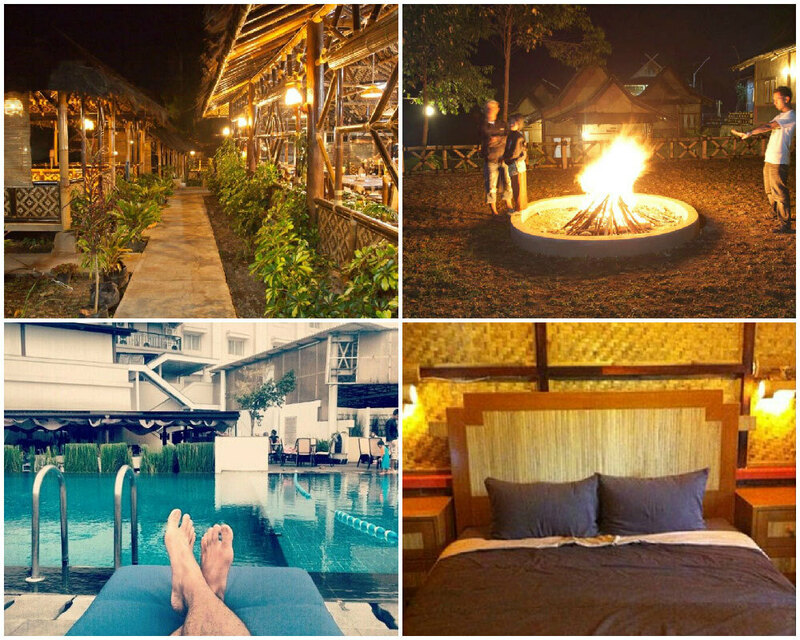 Tropical Garden Lust – that’s the theme of this resort. 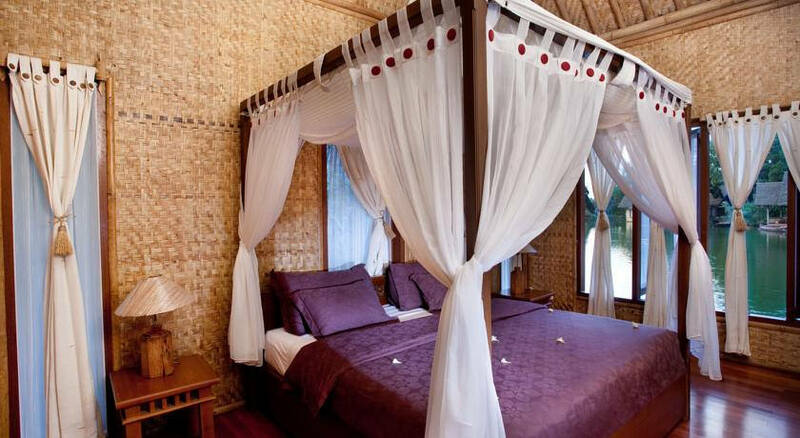 You’ll know why when you rest your eyes on the water bungalows constructed from bamboos and coconut roofing. 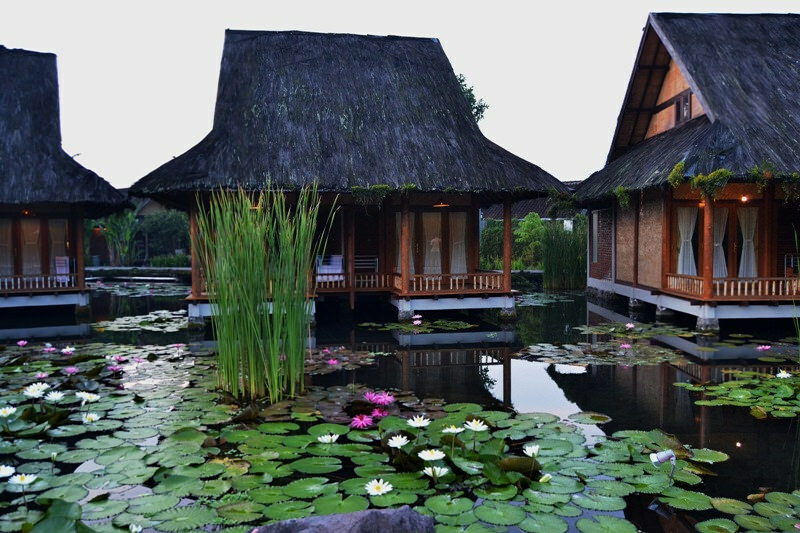 In the morning, before breakfast, several canoes will cruise past your bungalow to bring the traditional snack Surabi (traditional pancake) to your villa balcony. 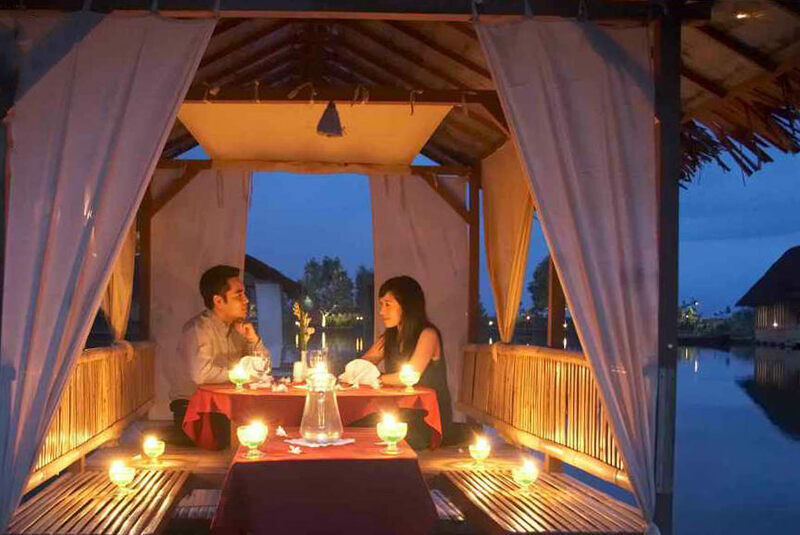 At night, you can have a candle light dinner by the lake with your loved one – how romantic is that? 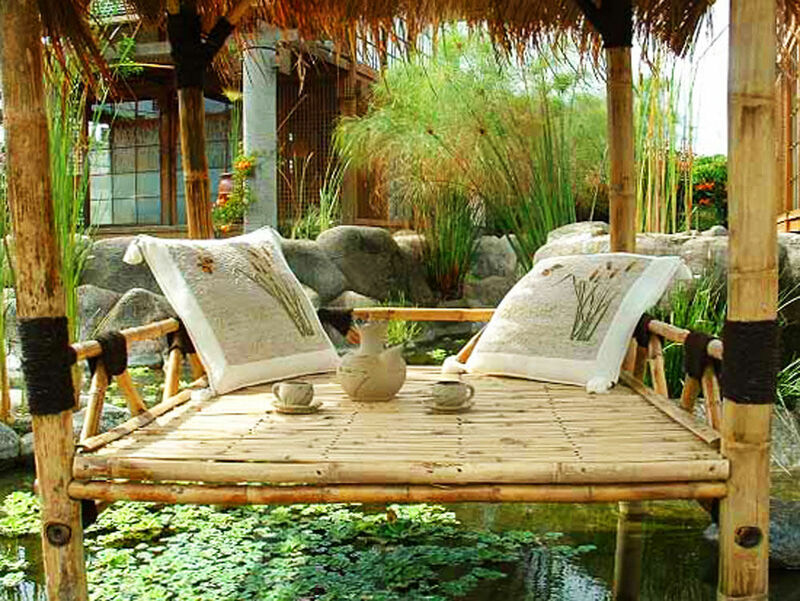 And you can even feed goldfish from your balcony! 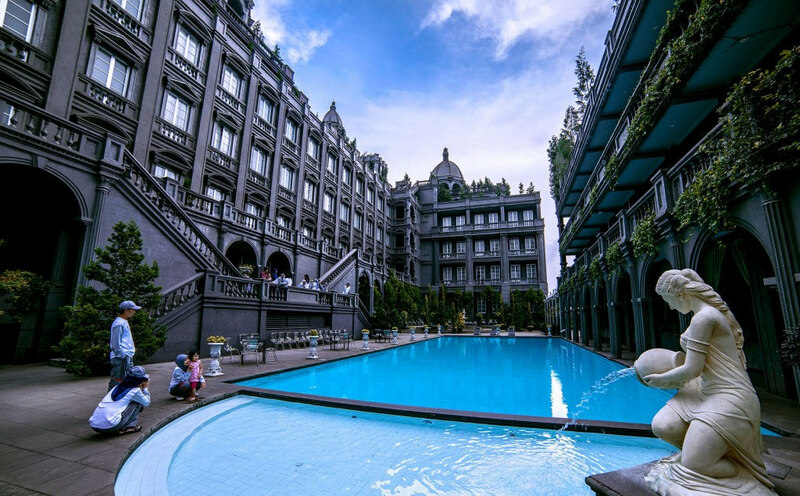 Located in the heart of Bandung, this classic European-style hotel will make you feel like you’re in Europe itself! 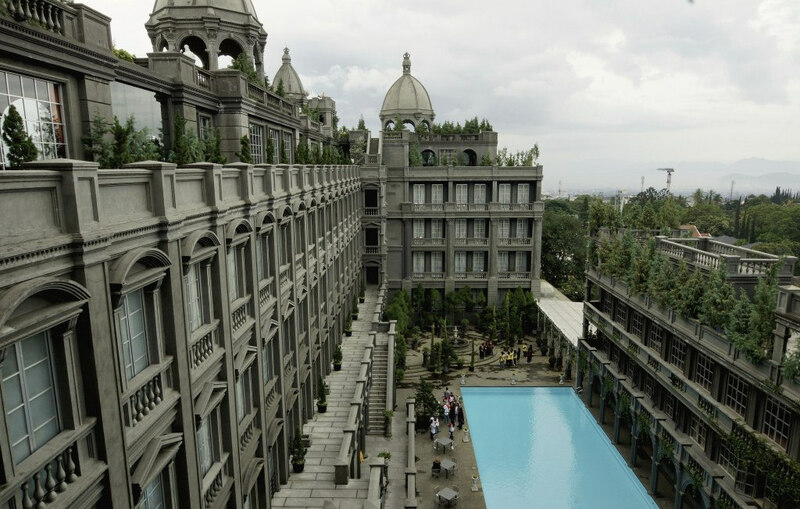 With marble tiled floors and a rooftop café named Belle Vue, your trip to Bandung can’t be fancier. 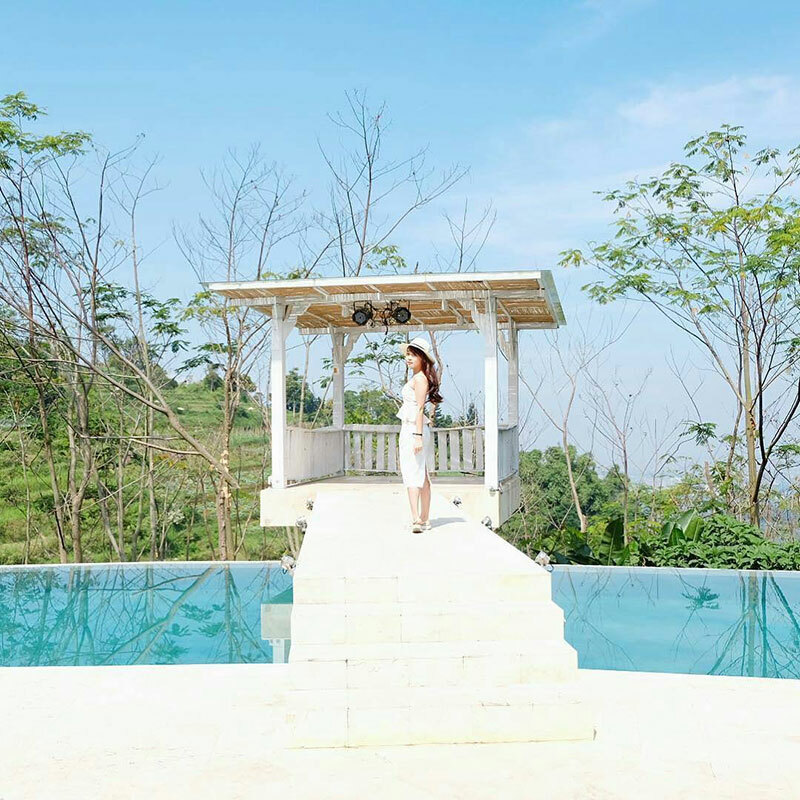 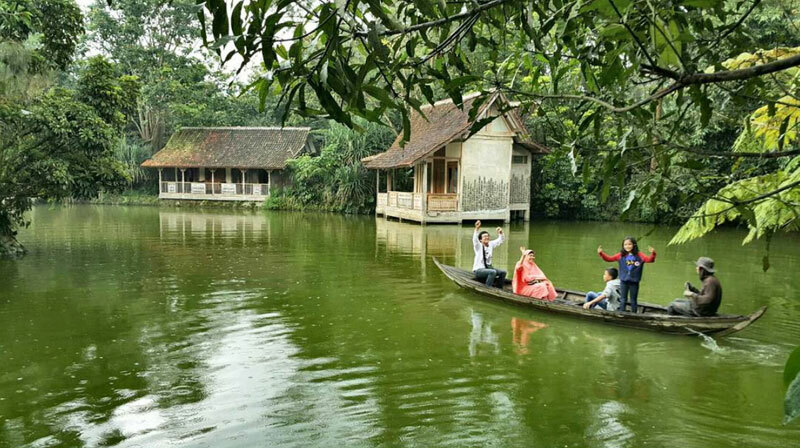 Now here’s our crazy proposal – why don’t you save on those expensive plane tickets to Europe, and travel to Bandung instead? 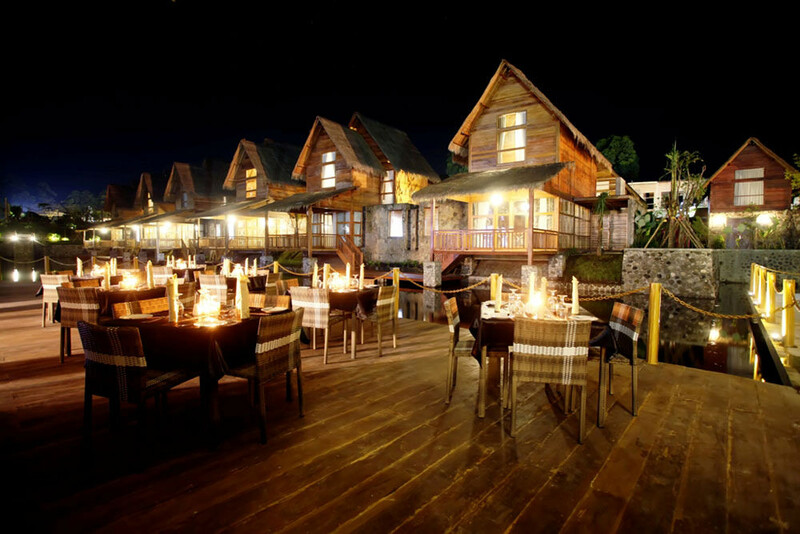 You can immerse in the same atmosphere at GH Universal. 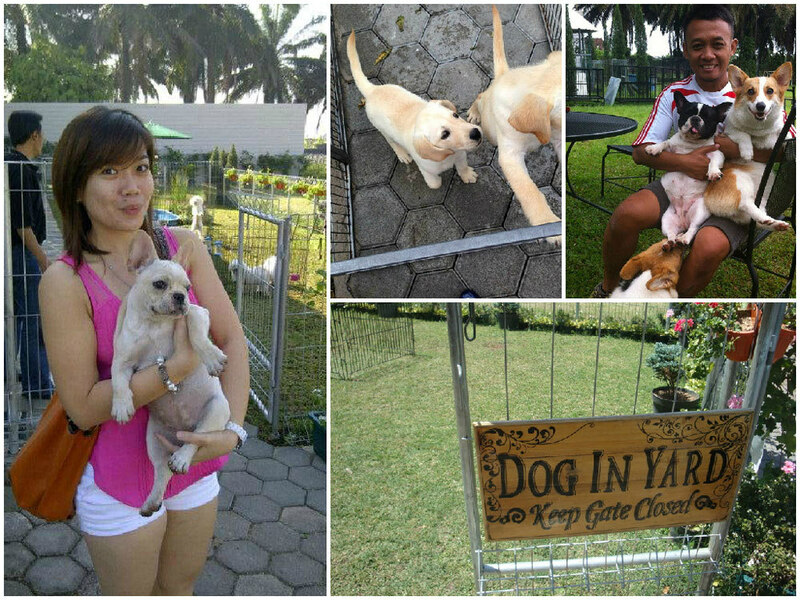 There is even a pet inn, where you can play with the 60 dogs in the compound. 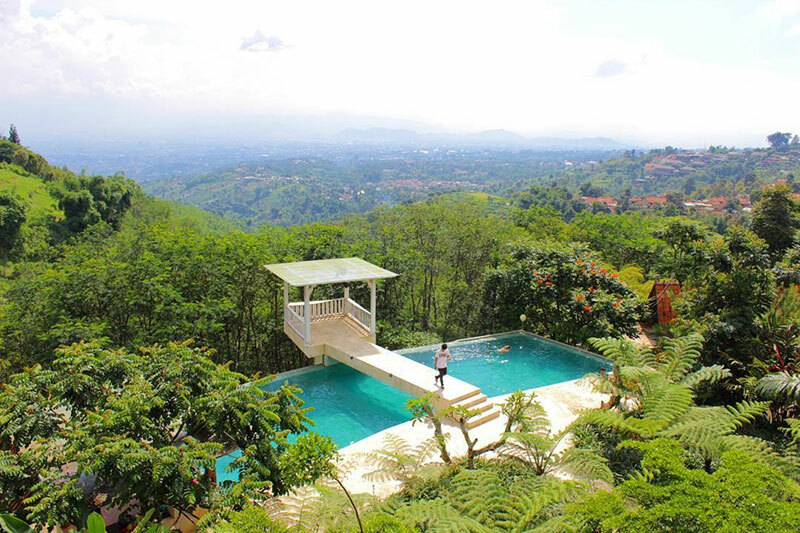 Guess what, the dogs also get their own special pool to swim in! 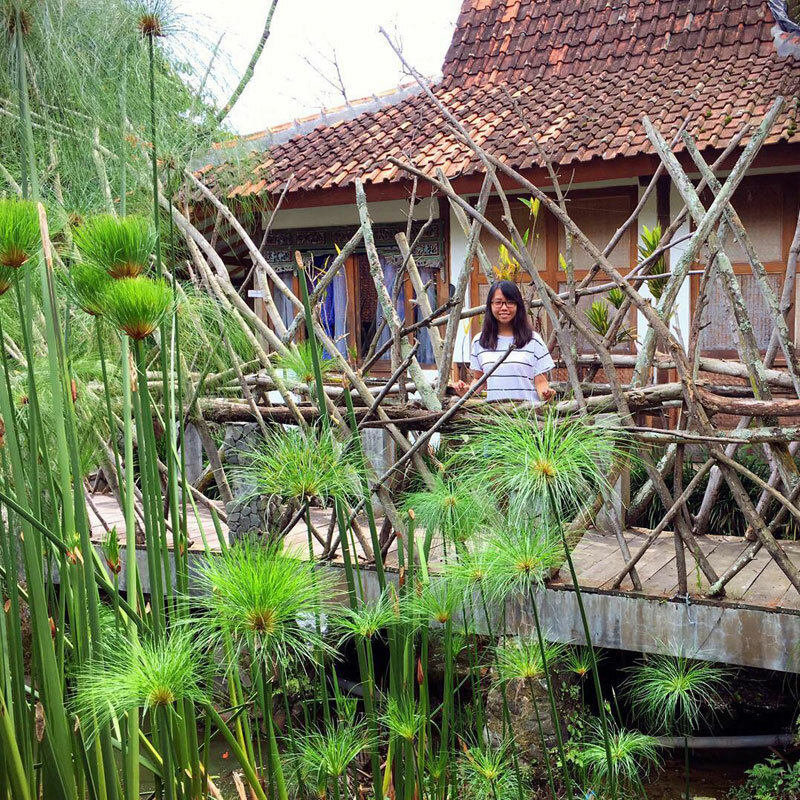 At Sawung Gawir, not only are the Joglos bungalow-styled, but the walls are also made of woven bamboos – very much like the real traditional thing in Indonesia. 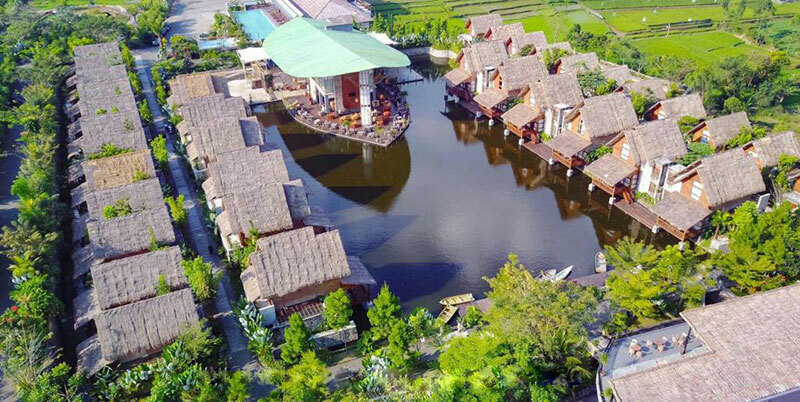 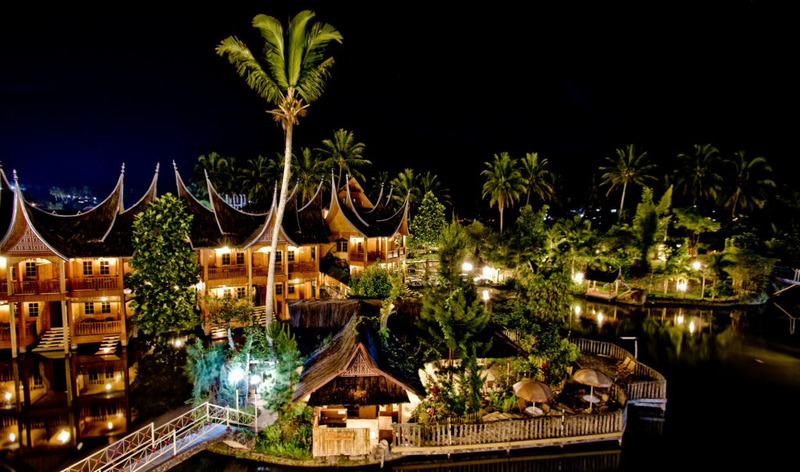 This old-school beautiful village and resort showcases a rich culture of heritage, with original Javanese architecture that’s fully outfitted with five-star amenities. 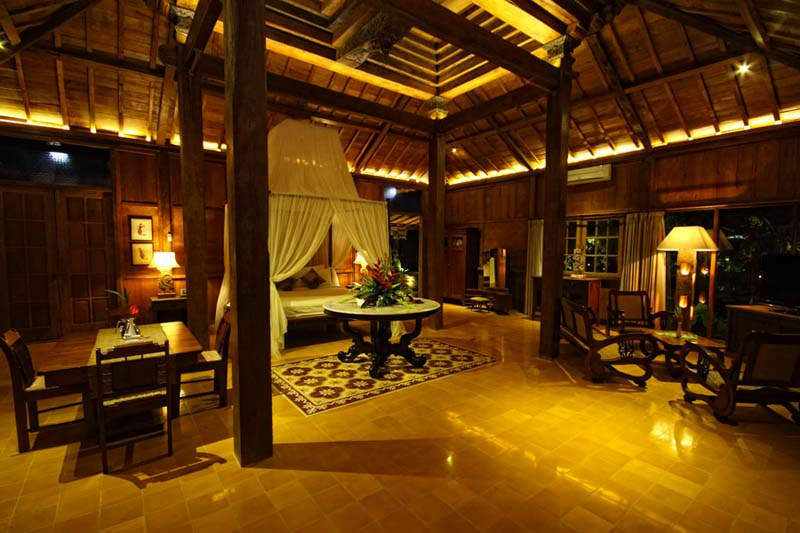 The interior of the place is also adorned with Javanese designs and furniture, so you can get an authentic Javanese experience during your stay. 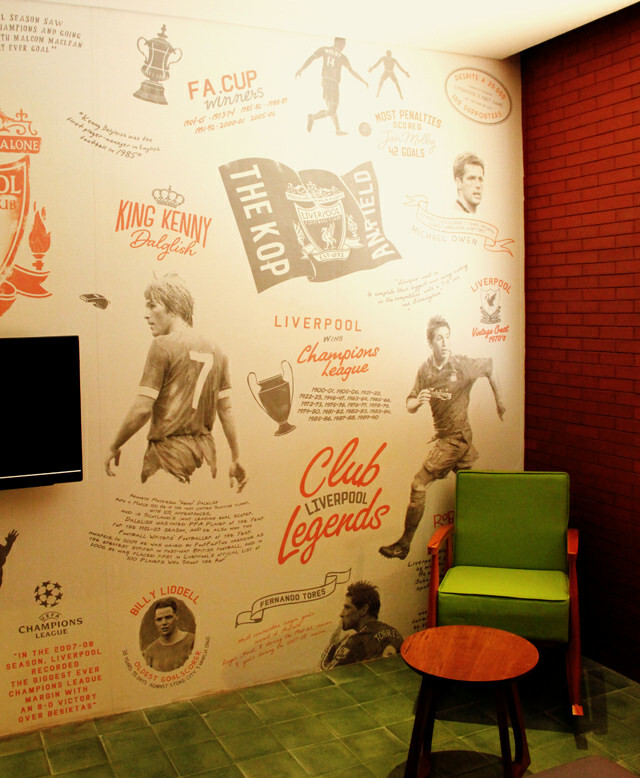 Regardless of whether you are a Liverpool fan, you can find the answer to a perfect getaway at the Stevie G Hotel. 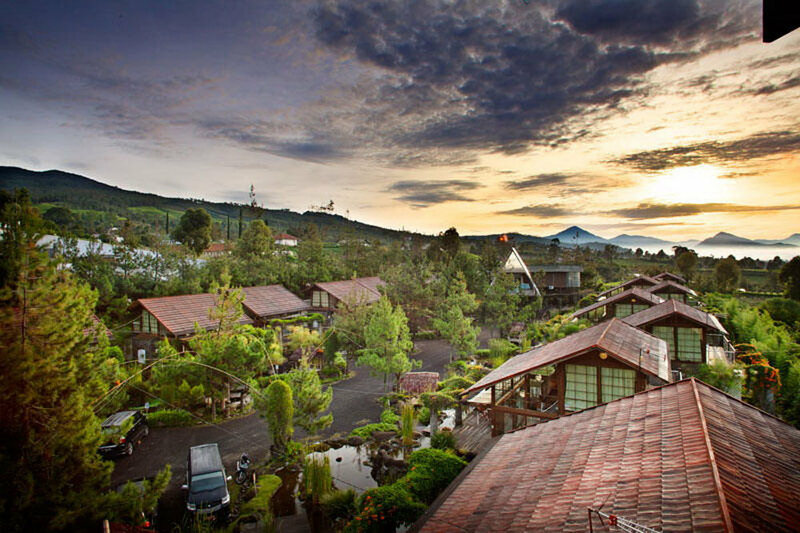 The hotel owner is a huge fan of the Reds, and therefore named the hotel in honour of the Antfield captain – Steven Gerrard. 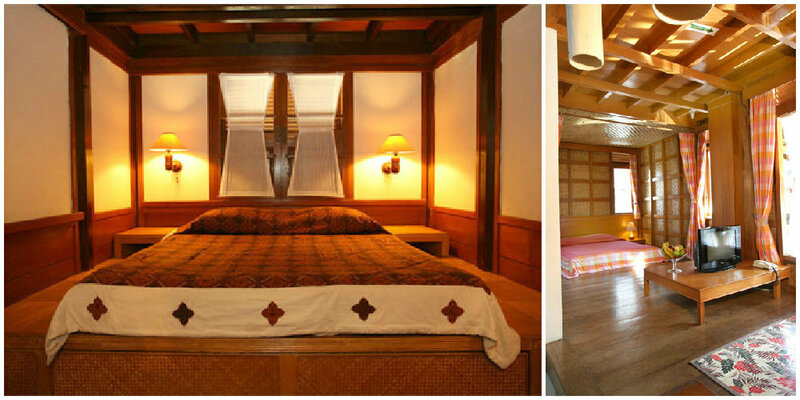 But even if you don’t know and don’t care about soccer, you’ll still be charmed by the quirky-themed rooms. 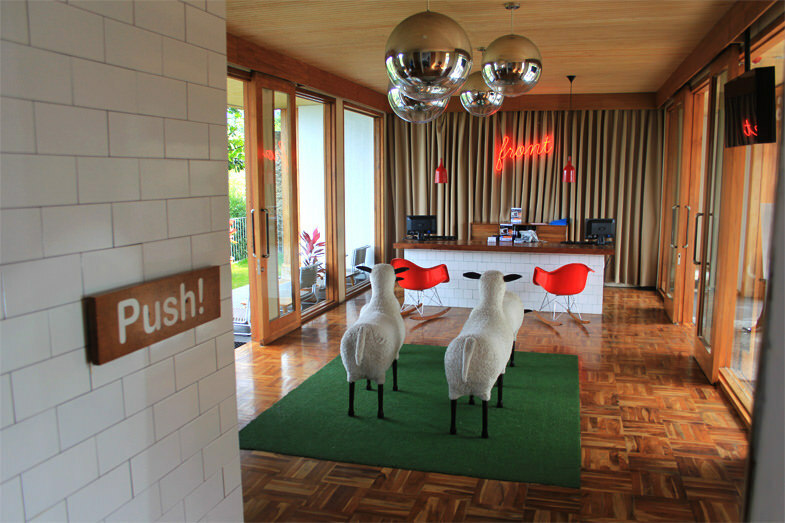 And check out the pair of sheep at the lobby! 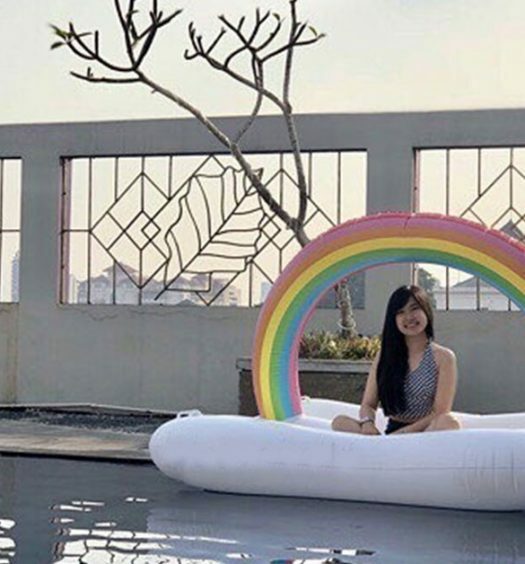 How much more random can it get? 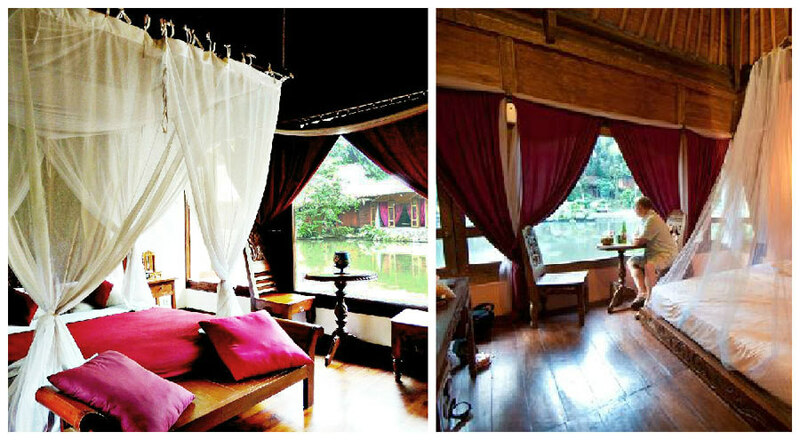 Imah Seniman, or ‘artist’s dwelling’ in English, provides a peek into the traditional Sundanese riverside cottages. 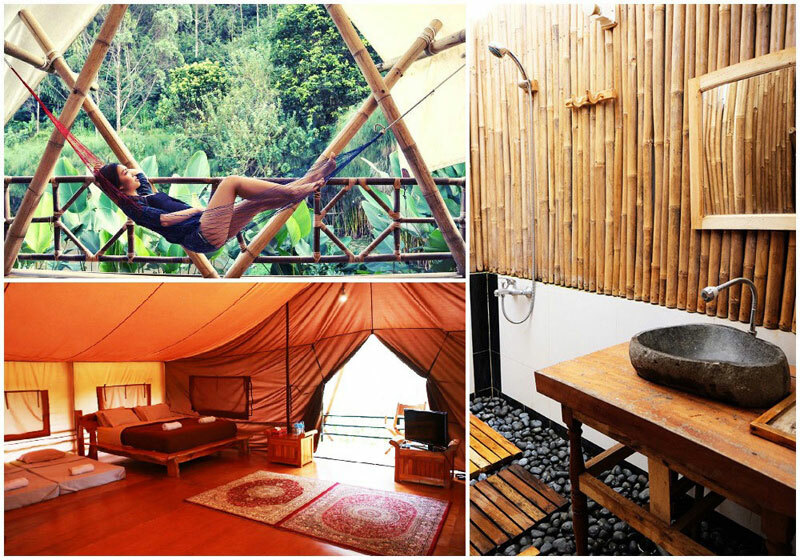 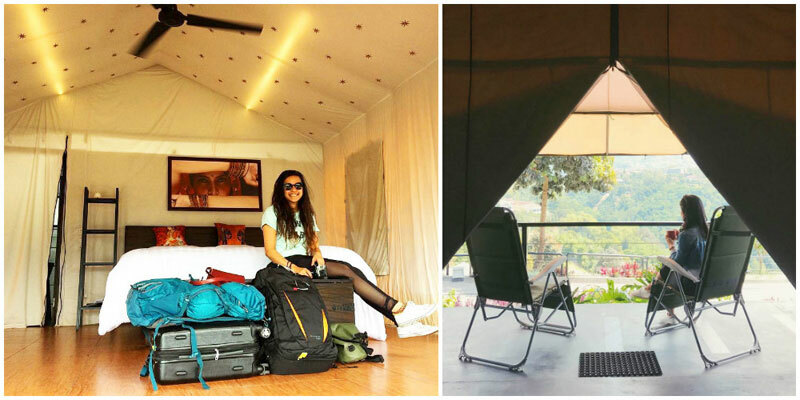 Here, you can enjoy activities ranging from outbound tracks to a pampering spa. 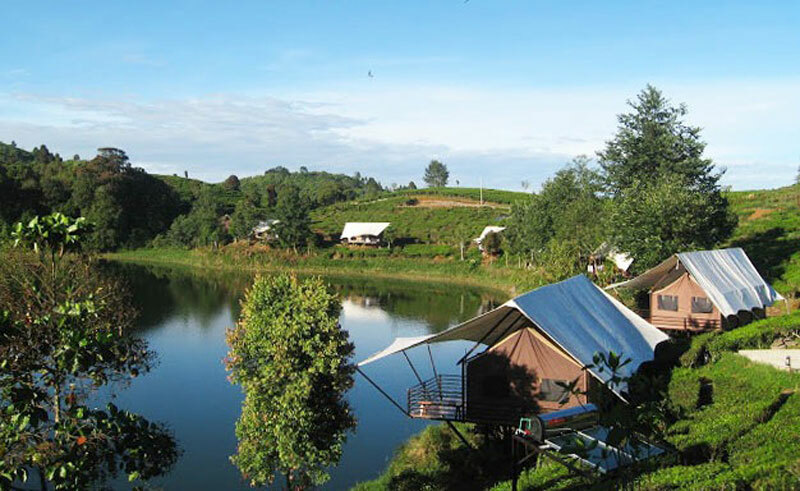 Almost like an accommodation that would cost you twice as much! 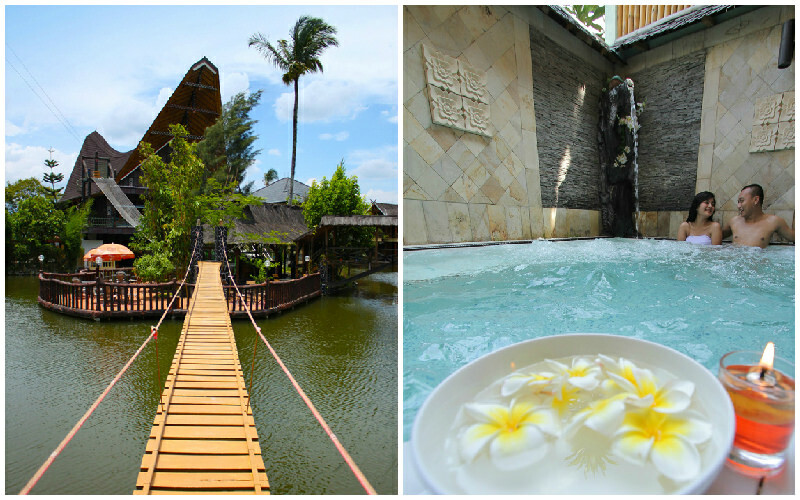 Who says you can’t stay in a water villa in Garut? 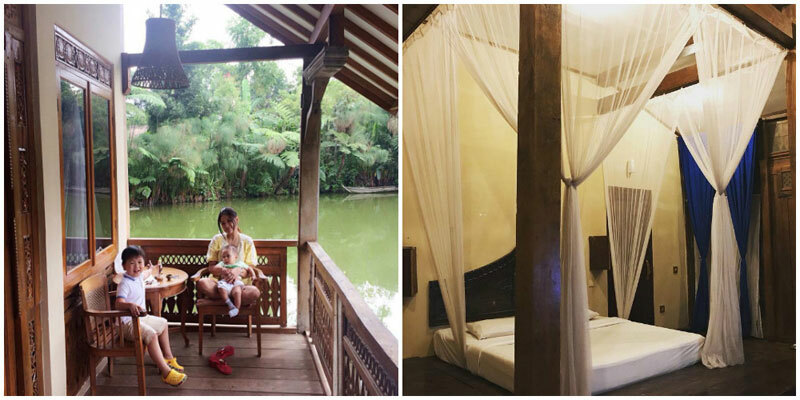 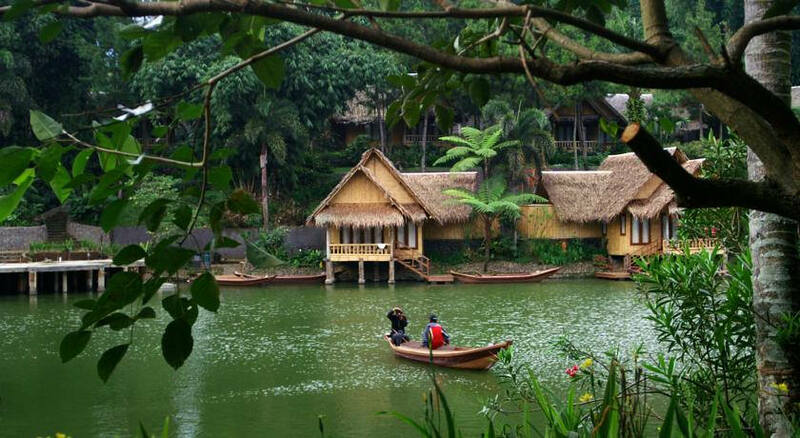 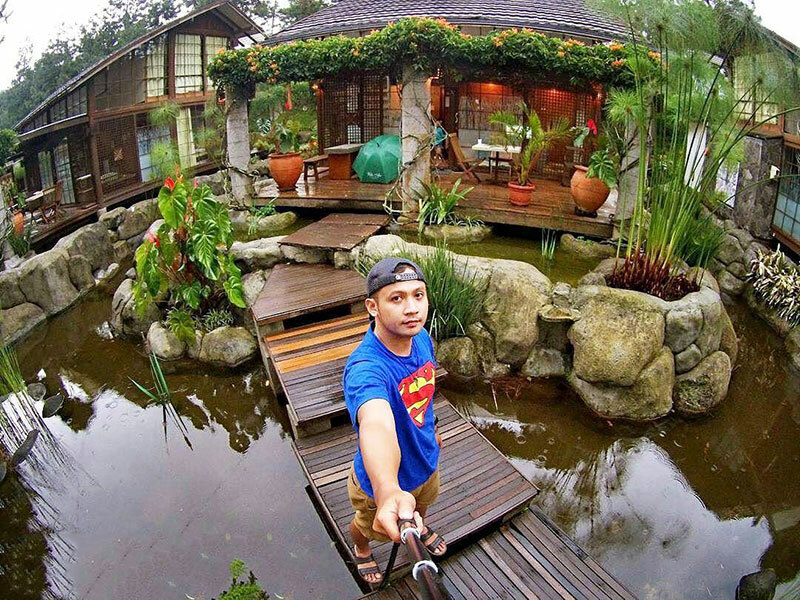 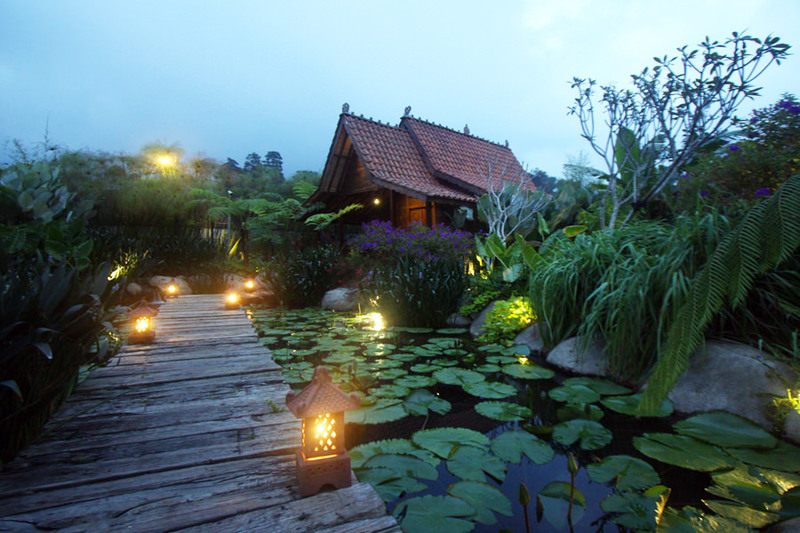 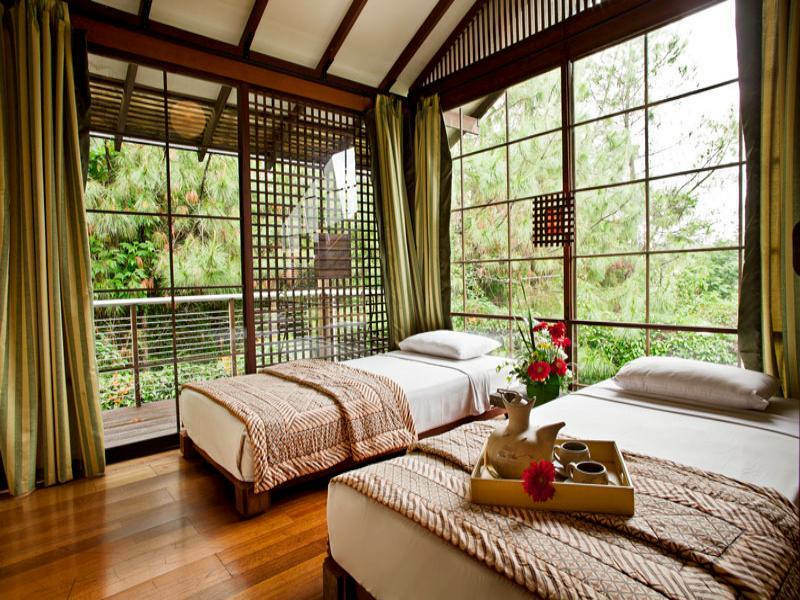 At Kampung Sumber Alam, the bungalows overlook the lotus pond – a beautiful sight to calm the mind and the body. 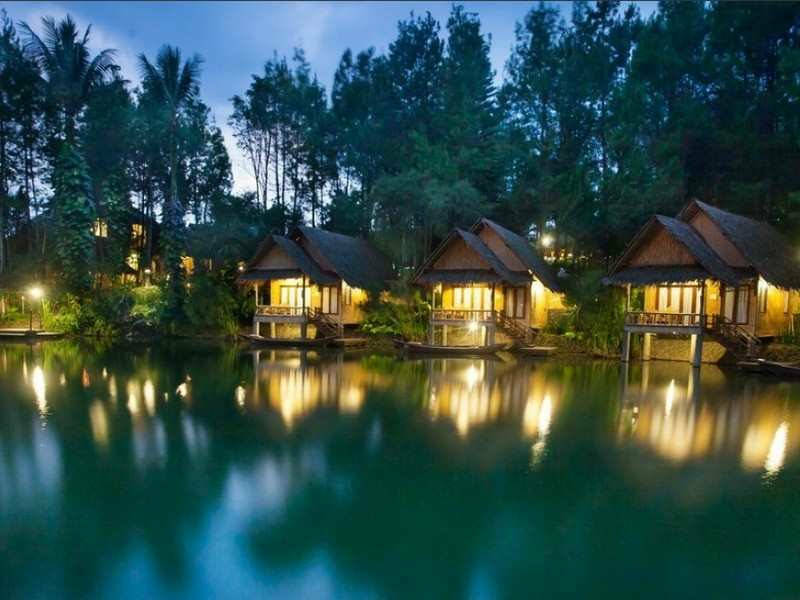 Bask in the lush greenery and scenery – this is where time truly stands still. 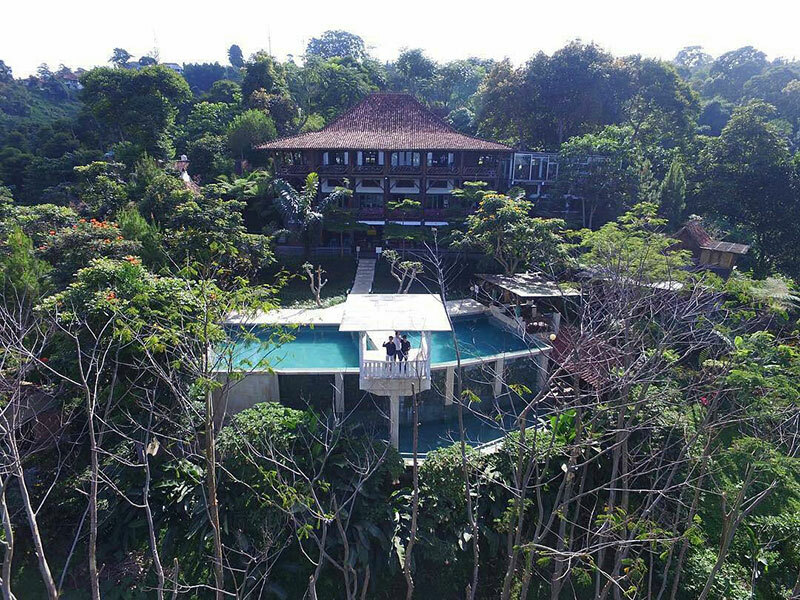 Are there any more unique hotels and villas in Bandung we missed? 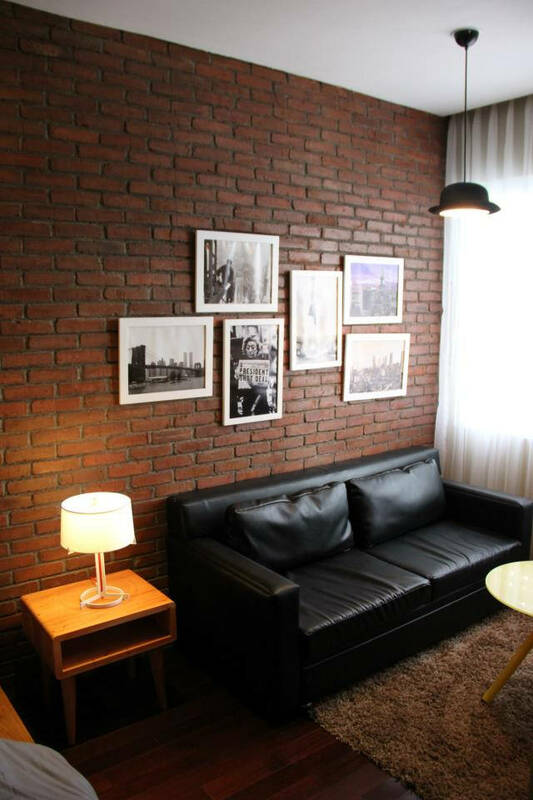 Share with us today!